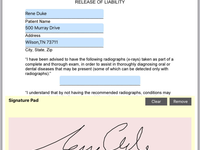 Mobile app that allows patients to fill out and sign health forms directly on tablets and smartphones. 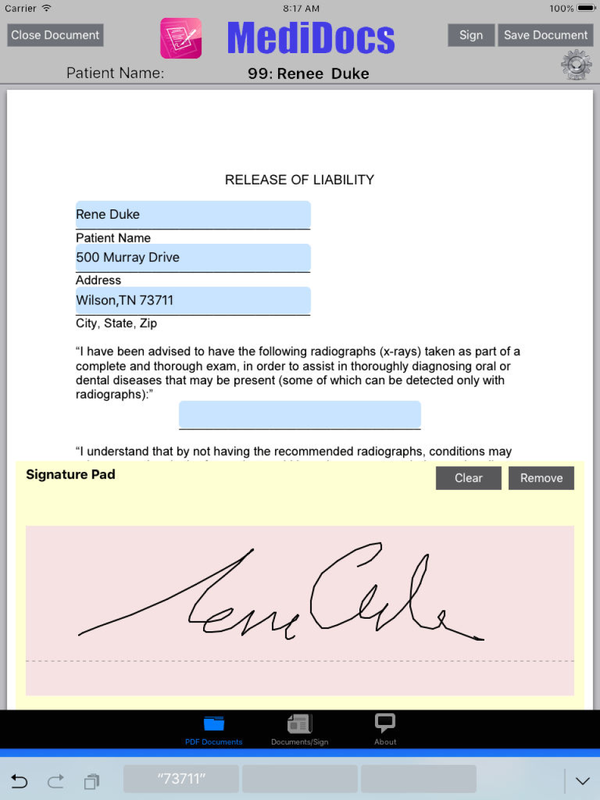 MediDocs is a 100% HIPAA compliant solution that is compatible with any healthcare specialty, and any practice management system. 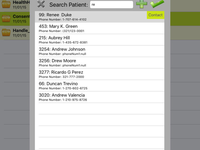 A must have for anyone with the desire to digitally store patient information and have a paper-free practice. 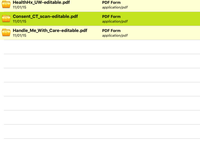 All your medical files in one space? Ding, ding, ding, we have a winner! 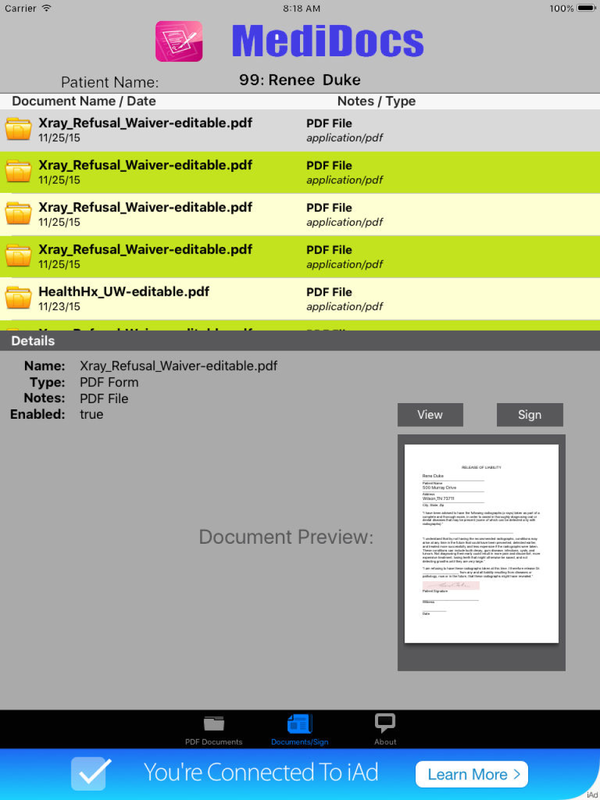 Pros: Perfect to have all your medical files in one space, with organization, as medicine student I have a lot of documents of course, but with this app I have more order with all my documents, is not only for health care workers, also for the patient is a good tool. 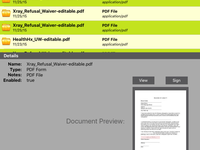 Cons: An Android version of this app would be great, the phone for my medical practice has Android system and I must send all documents to my PC or my iPhone and then save them in the app, not good and too annoying. 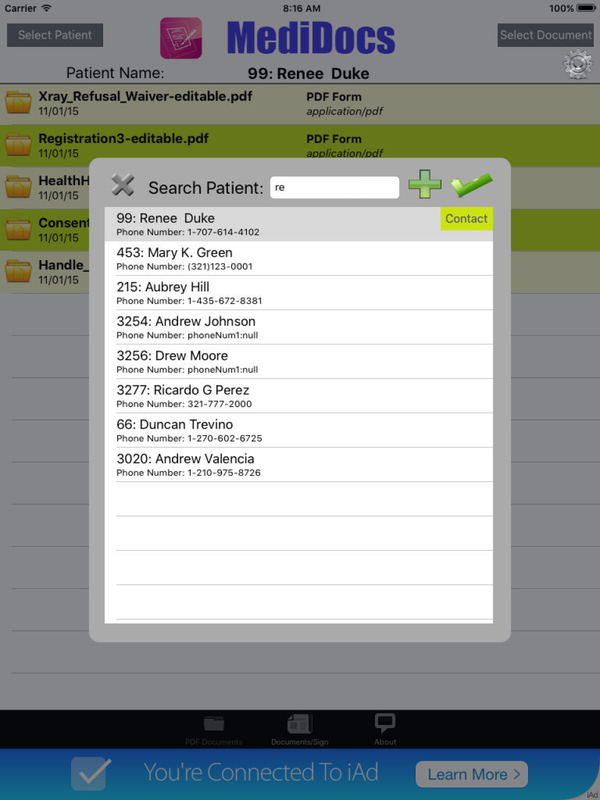 Overall: Except for the version of Android system, I think this one of the best medical apps, easy, simple menu search, low space and great for organizing. Comments: When working in the medical field MediDocs was used on daily bases. It was easy to use but quite a pain at times.